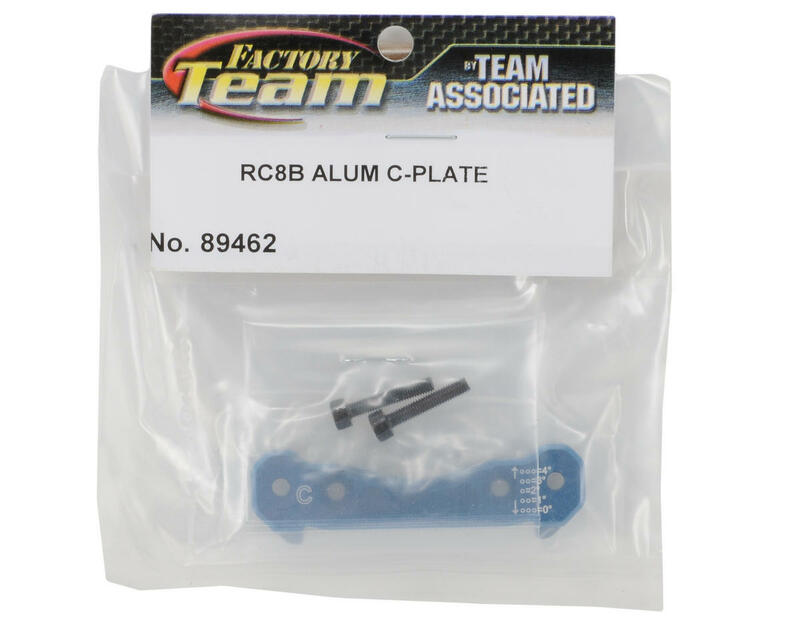 This is a replacement Team Associated Suspension C-Plate, and is intended for use with the Associated RC8B 1/8 Buggy. 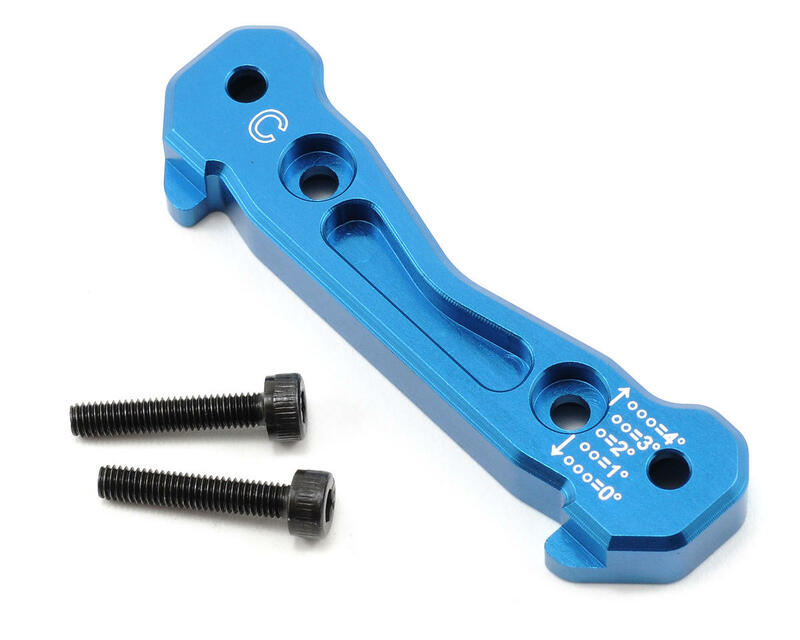 These new suspension mounts come standard on the RC8B, but are a excellent upgrade for all RC8, RC8T, and SC8 vehicles. Because they are CNC machined from 7075 aluminum, they offer a precision fit and are extremely durable. The C-Plate comes with all necessary installation hardware.